Grr, jurisdictions. I don’t like the US’s decentralized approach to governing its people. I’m from a country with a one-stop shopping approach to life. There’s one sales tax, one driving license, one government, one set of laws, one police force to name just a few. But here in the US, everything is fragmented. There are federal, state and local versions of everything. That means duplications, especially when it comes to politicians. No wonder we’re in a mess. But I’m digressing. Okay, I get the logic of a regional and provincial infrastructure and it worked well when to country was developing, but does it have to be so fragmented now? We no longer live in times where it takes a month to navigate the country. Communication happens in nanoseconds not days. This desire of mine applies most to the police in the US. I wish there was a centralized police force. It can be broken down by state, county, etc. but I want it to be one homogenous entity. I want a cop to be a cop to be a cop to be a cop. Not a fed, a marshal, a sheriff, or a cop. I came to this conclusion a few years ago as I lay across a city-county limit line after being hit by a car. If this were the UK, a simple call to the emergency services would have sorted everything out, but sadly it turned into a three-ring circus of bureaucratic silliness. Who to call became an issue. My head and torso was in the city while my legs were in the county. A 911 call was an issue in itself. In my part of the US, it’s recommended that you don’t call 911 on your cell phone because it gets routed to a California Highway Patrol center in a different county and not the local dispatch. So the suggestion is that you keep your local police department’s phone number programmed into your phone. The people who witnessed the incident remembered this issue and covered all the bases by calling individual jurisdictions as well as 911. Calls were placed to the city, the county and CHP. Because I was at a city/county intersection, the matter of who should respond arose. I didn’t much care who responded as long as someone did. I was kind of concussed and bleeding inside at the time. Eventually, CHP won the battle because they only took twenty minutes to answer the phone, but also because the county has outsourced traffic accidents to the state. That must have been in a memo that didn’t reach me. In the meantime, I caught a ride to the hospital from a concerned citizen. Despite the frustration of that situation, as a scribbler, everything that happens to me—good or bad—is grist for the mill and the mill is working. I don’t go out of my way to be subversive in my storytelling, but I do zero in on chinks in society's armor. Proving the point that “one man’s meat is another man’s pudding,” a system of decentralization is open to abuse. Jurisdictional territoriality can be exploited by the devious. Normally, the investigating police entity is the one from where the crime or incident occurred. Obviously, things change when you cross state lines, but if I steal a car in Oakland and break into a house in Berkeley, it’s not going to be a federal case and the two city police departments aren’t going to band together unless something leads them to the fact. This is where my devious little writer mind comes in. If I wanted to victimize someone, I could commit each little crime in a different jurisdiction. It wouldn’t be hard. Very few of us live in the same city where we work. Using my wife as an example, her 30-mile commute takes her through ten city and county jurisdictions. Even if someone brought a complaint against me, they'd have to duplicate the complaint in every jurisdiction. Ah, the complexities of simplicity. 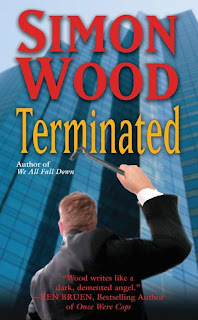 I played with this issue in my latest thriller, Terminated. 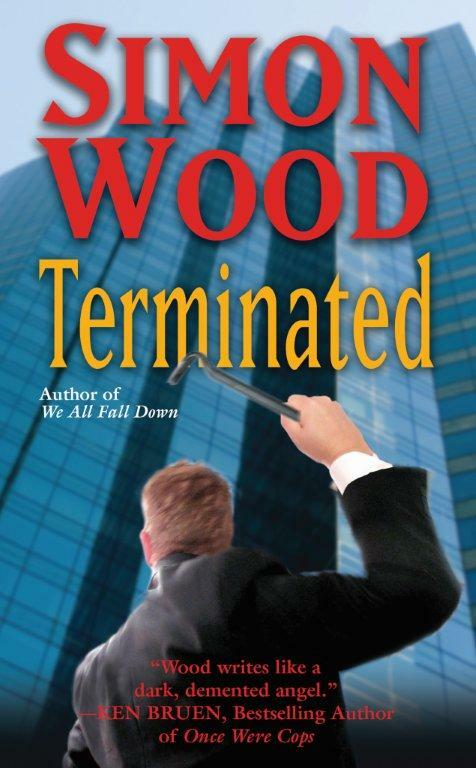 The story centers on a vindictive employee causing havoc for his boss. The incidents occur in different jurisdictions making it hard to point a finger at the guilty party. Like I say, I don’t like decentralized government infrastructure, but it suits me fine when it comes to my fiction. Thanks for having me here, Libby. Ahhh Simon--I have an awful picture in my head of you lying on the road. What an experience! Something to be said for urban sprawl.